Anitha Ram Scholarship is to encourage and enable top TWO Gurukulam children who pass their 12th grade with top academic scores to pursue higher education. Every year each of the top two students will be awarded a cash prize of Rs. 25,000 and Rs. 20,000 respectively. 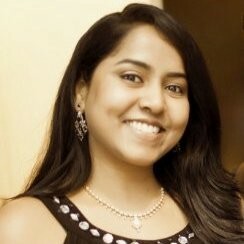 Anitha Babushekar (1977 – 2016) held a Master of Science degree in Biology with an emphasis in Biotechnology and Bioinformatics. She had graduated with honors (top 5%) from California State University, East Bay, California, USA. Prior to getting her M.S degree she obtained her Bachelor of Science degree in Biology from Christ College, Bangalore, India. Anitha was passionate about biotechnology and had done a lot of interesting work in the fields of: Single Molecule Real Time DNA sequencing, Cloning, Transmission Light Analysis. Her most interesting work was in The C. elegant Rab Family: Identification, Classification and Toolkit Constructions, that was published by the Plos Scientific community @ The C. elegans Rab Family: Identification, Classification and Toolkit Construction. She had presented her research work in several technical symposiums including CSUPERB, a symposium conducted for scientists around the world. In her professional career she has worked as a Research Engineer at top Biotechnology firms such as Pacific Biosciences and Cell Genesys making valuable contributions to the field of biotechnology through her work at these companies. Anitha was an avid athlete who represented her district as a hockey goalkeeper in Bangalore, Karnataka. She has represented the Karnataka battalion in their March drill routines during republic day celebrations. She was a trained Bharathanatyam dancer, was an extemporaneous speaker and has won several competitive debates. She was a regular volunteer at the "Bay to Breakers" walk for raising funds to help school children. VBJ Award is a motivational award set up by Mrs Chitash and Mr Jithendra Vummidi to boost excellence. This is an annual cash prize of Rs 10,000 each to the best scoring students of the 12th and 10th grade. The cash prize will be utilised towards their higher education.